The solicitors at CM Lawyers have carried out a number of Bail Applications on behalf of our clients for a range of matters. We will ensure that the best possible legal advice is given to you and endeavour to present your case to the Court in the best possible light to get the most favourable outcome possible. Bail Applications: What factors do the court take into consideration when determining bail should be granted? The period that the person may be obliged to spend in custody if bail is refused. The revised New South Wales Bail laws (the Bail Act 2013) represent a substantial rewrite of the bail laws in New South Wales. They came into effect on 20 May 2014, giving the Court new criteria to apply to a bail application. In general, an individual is more likely to be granted bail under the new Act than the old Act (Bail Act 1978). If you, or a family member, have been refused bail then you should contact a lawyer immediately, as bail applications are often strongest in the early stages of a prosecution, while the case is still weak. Bail Applications: What happens during a bail application? When attending Court for a bail application, your solicitor will mention your matter and state that you are applying for bail. Then, the prosecutor will provide the Court with the police facts sheet (which outlines the circumstances of the alleged offence, your criminal record and any other relevant documents). Here, your solicitor will have an opportunity to read these documents and make any objections prior to the Court viewing them. If there are no objections, the Court will read the documents. The Court will then read any documents that your solicitor tenders. In some cases, the Court will hear evidence from witnesses called on your behalf. Then, the Court will ask what the prosecution’s attitude to the bail application is. Bail will not always be opposed, it is all dependent upon the charges you are facing. However, prosecution consenting to bail does not guarantee a grant of bail from the Court – though it is an important factor in favour of granting bail. 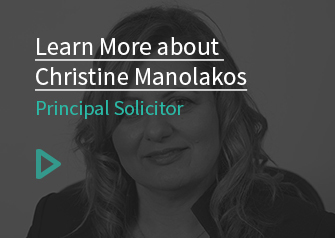 Your solicitor will make submissions on whether there are any unacceptable risks – and, if so, what conditions can be imposed to mitigate those risks. Submissions will include comments on the factors relevant to a bail decision, such as the strength of the prosecution case, your ties to the community, your residential history and your criminal history. When appropriate, your solicitor may indicate to the Court that there is someone willing to deposit cash or security to ensure your bail. This person is generally not required to give evidence. Once this process has been completed, the Court will make a bail determination. Bail Applications: What are the differences between Supreme Court and District Court bail applications? In a bail application at the Supreme Court, it is rare that an accused person will appear in the Court – normally, they will remain at the gaol and appear in Court via video link (AVL). A solicitor or barrister will normally appear for the accused, and the DPP or a Crown Prosecutor represents the police. A judge will then decide whether bail will be granted or not. The Crown Prosecutor will tender a bundle of documents, which will normally include the key statements in the Crown brief. The Crown will want to make a strong case for the Crown and will tender the documents that do this. It is normal for your lawyer to go into negotiations with the Crown to decide what statements are given to the Judge. If evidence is disputed, the Judge may permit a cross-examination of the police officer in charge to ascertain the strength of the Crown case. Evidence may be called by your lawyer from people who may be depositing cash bail, an employer, a spouse (if hardship is a relevant factor), a representative from a rehabilitation facility, or you. The judge may deliver a determination on the day or adjourn the matter to take time to consider the application. Contact the solicitors at CM Lawyers today to see how they can help you with your bail application.